Whether it’s football, baseball, or soccer, if you’re obsessed about sports and hosting the next watch party at your house, you need to have the right kind of food. It’s best to have dishes that are easy to hold and bite into, like chicken wings; with so much happening on screen, you want to make sure no one misses the action! While some people may want to try a themed menu, the safest way to ensure all your guests are happy is to stick with the classics. Here a few tried-and-true handheld party foods that are always a hit! Easy to pick up and munch on, chicken wings are a watch party staple. While you can’t go wrong with traditional buffalo wings, it’s fun to include other variations like garlic, honey mustard, or extra spicy. Don’t forget the celery sticks and blue cheese dip! 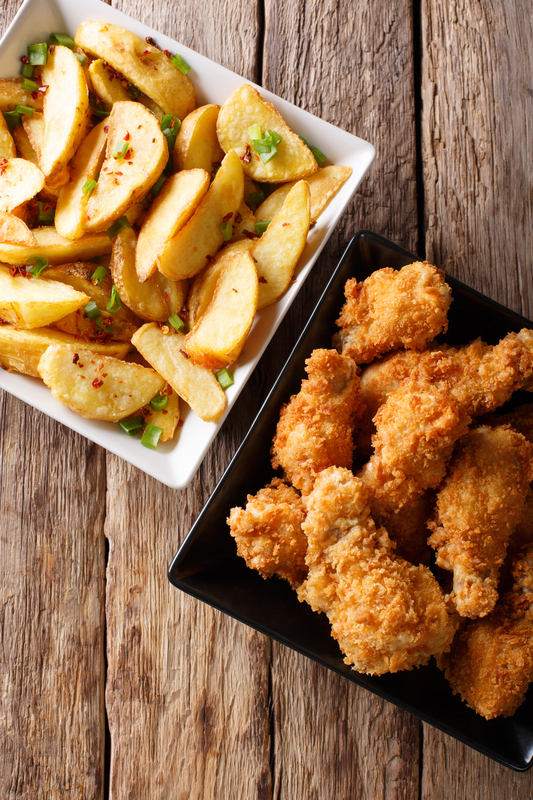 If you want something less saucy without losing the bite, get tenders. Lightly breaded or plain, they’re not as messy as wings, and the lack of sauce is perfect for anyone who wants to commit to any health-related new year’s resolutions. No party platter is complete without fries and potato wedges. They’re delectable on their own or as an accompaniment to the chicken wings and tenders. They’re also ideal for the vegetarians or vegans in your life. Another vegetarian-friendly option, these are fun to snack on, especially if you want something lighter than meat or potatoes. To go a little bit further, you can upgrade these to nachos. If you have a small viewing party, you and your guests may want to indulge in something heartier. These will give you more than one food group in every bite, and although they may not be as portable as the other dishes, that may be just what you're looking for! With the Super Bowl just around the corner, it’s time to finalize your home menu. Not a football fan? Whatever your sport of choice, if you’re interested in these classic American foods, head to Buffalo Wild Wings®. They have 19 locations throughout New York and Connecticut. From wings to wraps, they have everything you need in convenient party-sized servings! So, if you want their Traditional Wings, you can pick them up in 50, 100 and 150 piece platters! To see what else you can add to your order, check out their website.